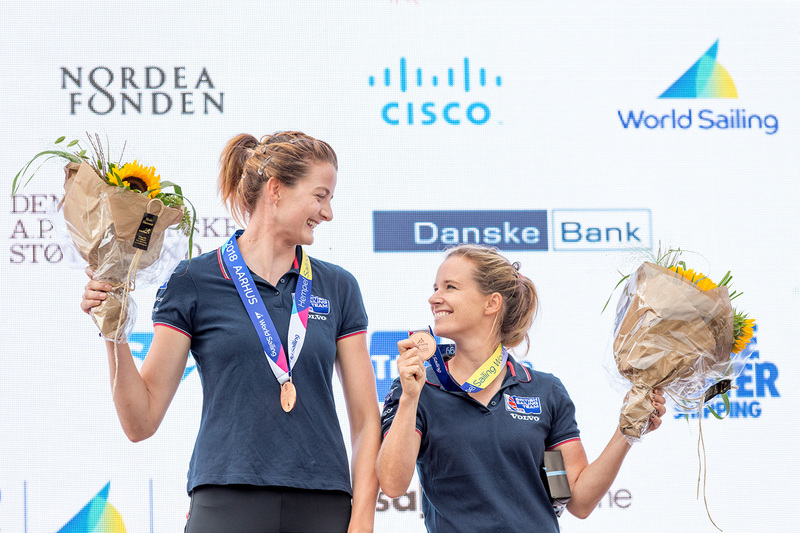 Hannah Mills and Eilidh McIntyre won bronze at the Sailing World Championships on Thursday to take their 2018 medal tally to four. Mills and McIntyre held onto third in a nail-biting finale in Aarhus, Denmark, that saw them battling French duo Camille Lecointre and Aloise Retornaz of France for a place on the podium. They fought their way through the ten-boat fleet to finish fourth in the medal race, but their bronze was only confirmed when Lecointre and Retornaz crossed the line in seventh. The regatta was won by Japan’s Ai Kondo Yoshida and Miho Yoshioka, with Silvia Mas Depares and Patricia Cantero Reina of Spain in second. “We’re happy and relieved,” said Mills, the reigning 470 class Olympic champion and London 2012 silver medallist. Moments after the start of the race the pair decided to turn back to the start line fearing they might be penalised for potentially starting prematurely. Although it was later confirmed they had not broken any rules, the move put Mills and McIntyre at the back of the fleet, forcing them to fight their way back into medal contention. “Once we made the decision to turn back all the nerves went and we were straight into thinking about what we could do to get back in the race,” Mills, 30, from Cardiff said. Continuing their success in 2018, the bronze adds to silver medals from the Princess Sofia Trophy regatta and the World Cup Series Hyeres, plus a gold from the World Cup Series final in Marseille. Crucially, their result guarantees Great Britain a place in the 470 competition at the Tokyo 2020 Olympics. They will now head to the Tokyo 2020 Olympics sailing venue of Enoshima for the first test event in early September among the podium favourites. 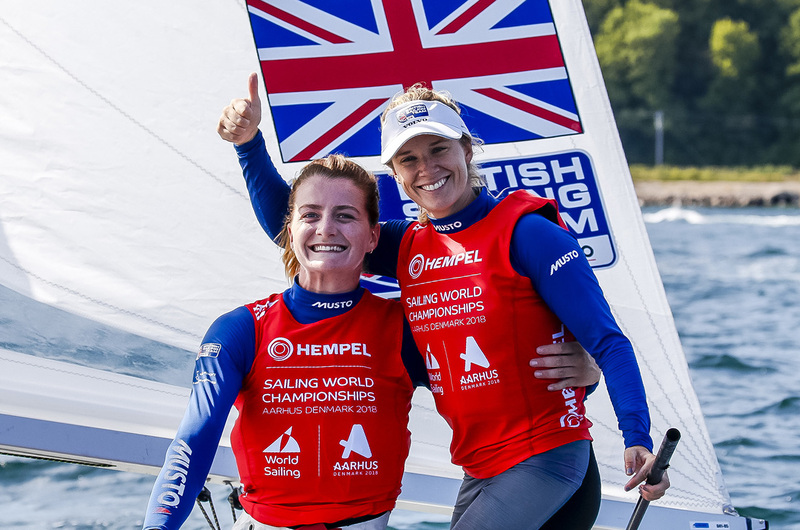 Fellow British Sailing Team pair Amy Seabright and Anna Carpenter came home tenth in the medal race to secure eighth overall. Reigning Finn class European champion Ed Wright had to settle for eighth overall despite coming home third in the medal race. Wright, 40, from Bournemouth, had led by seven points going into the penultimate day of competition but a pair of mid-fleet results saw him plummet down the standings. Going into the medal race in tenth overall Wright still had a chance of a podium finish, but it was dependent on his rivals at the top of the table having a bad race. Unfortunately for Wright, a valiant third wasn’t enough to send him up the leaderboard. “I was doing great throughout the week, and until yesterday I was winning,” Wright said. “I had a pretty bad disappointing day, going from first overall to tenth in one race when a squall came through and turned the fleet inside out. While not winning him a medal, Wright’s result also guarantees Great Britain’s place in the Finn class at Tokyo 2020. 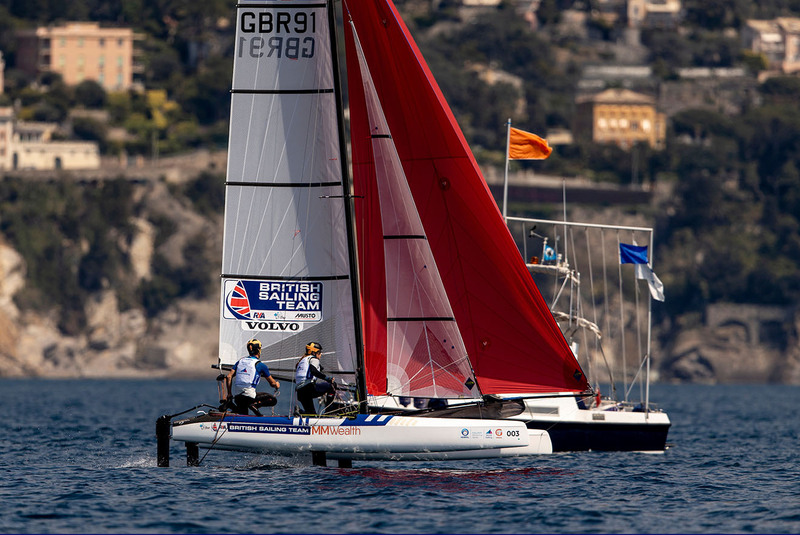 In the Laser Standard fleet Macclesfield’s Elliot Hanson will fight for a world championship medal in the double-points finale with the single-hander currently occupying the third spot. Hanson will be joined in tomorrow’s medal race by Lymington’s Nick Thompson in eighth and European silver medallist Michael Beckett one place back in ninth. Beckett from Solva, Pembrokeshire, booked a place a medal race spot with a fine third place finish in the final race of qualifying to squeeze in to the top ten. While there are three British representatives in the Laser Standard final Ali Young will be the sole representative in the Laser Radial heading in to the final day of competition for the single-handers in eighth overall. In the 49erFX Sophie Weguelin and Sophie Ainsworth take momentum in to the skiff medal race from a final fleet racing day score of 1,4,12. The two Sophies have been steadily improving throughout the world championship and currently sit in second overall, 11 points off gold and three ahead of bronze. 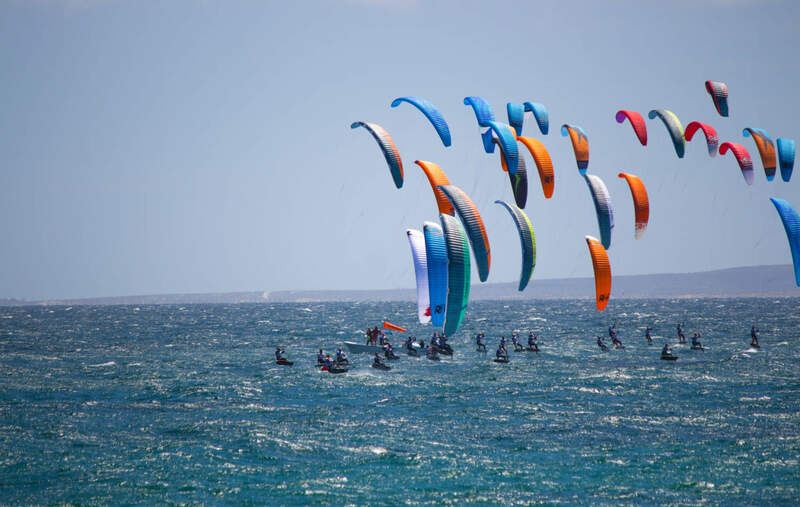 Joining their team mates in the medal race will be Charlotte Dobson and Saskia Tidey who secured tenth spot on the leaderboard edging out rivals Natasha Bryant and Annie Wilmot of Australia by a single point. The RS:X fleets have another full day of fleet racing before the top tens can be confirmed and at present there are three Britons in the running to contest on the final day. Kieran Holmes-Martin sits third in the men’s fleets while three-time youth world champion Emma Wilson is sixth in the women’s. Beijing 2008 Olympic bronze medallist Bryony Shaw is just two places back in eighth. Both Dylan Fletcher and Stuart Bithell and James Peters and Fynn Sterritt will be aiming for the top ten places on the final day of 49er fleet racing. With only two races left before the medal race Fletcher/Bithell sit in tenth with Peters/Sterritt in 12th. 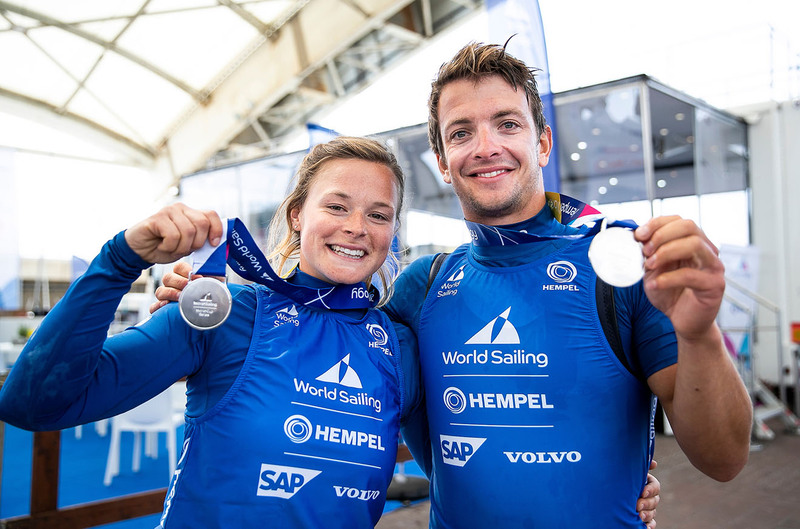 Current world champion Ben Saxton and crew Nicola Boniface took a bullet in the second Nacra 17 race of the day which helped push them in to eighth overall. Top British team however are John Gimson and Anna Burnet who are one spot higher in seventh. While Saxton/Boniface and Gimson/Burnet aim to stay in the top ten, Chris Rashley and Laura Marimon hope to join their compatriots by climbing up from 12th on the final day of fleet racing. Full results from the regatta can be found here, and a schedule of racing is here. For the latest British Sailing Team updates from the Sailing World Championships go to its Facebook, Twitter and Instagram pages. Watch the daily live broadcast at www.britishsailingteam.com. 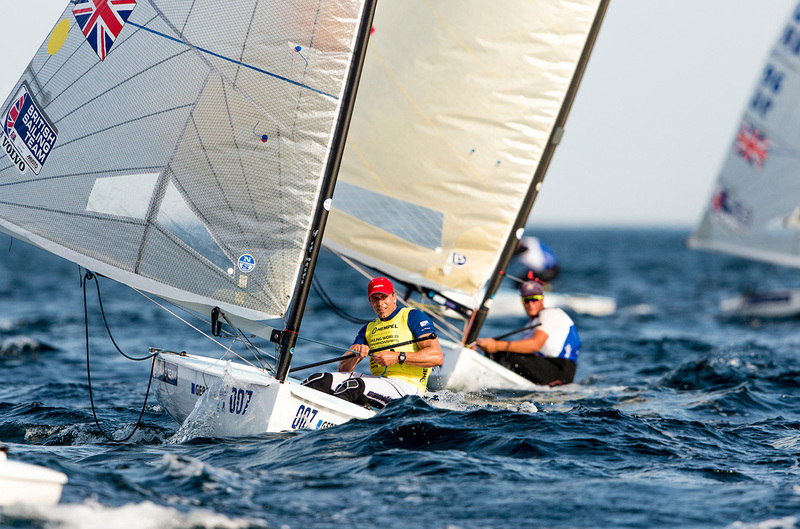 Next PostWatch the Finn and 470 Sailing World Championships medal races - LIVE!